Charisse is local to the Bay Area, growing up in Fremont, CA and attending The School of Nursing at University of San Francisco. Although her career started out in adult acute care, she found a passion for maternal and child health while serving in the Peace Corps as a community health volunteer in Nepal with the Safe Motherhood Program. Upon returning, Charisse gravitated towards working in the public health sector and is currently the coordinator for the Maternal Child and Adolescent Health (MCAH) Program with the Santa Clara County Public Health Department. Beyond program planning and evaluation, Charisse enjoys the collaborative partnerships that have formed to address health disparities that impact our community. Being a mother of 2, the health and well-being of fellow moms and families have a special place in her heart. Charisse is also a current Board Member of In Our Lifetime, a grass roots-grant funding nonprofit to support agencies providing critical services to underserved individuals with breast cancer. She loves to craft, go to Broadway musicals and lives in San Jose with her husband and 2 little ones. 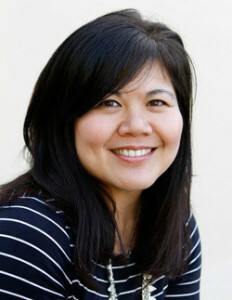 Jane Honikman was born and raised in Palo Alto, California. She moved to Santa Barbara in 1970 and began her career in maternal mental health in 1977 when she co-founded Postpartum Education for Parents (PEP). In 1981 Jane received a grant from the American Association of University Women to study the Growth and Dynamics of Postpartum Support Groups. 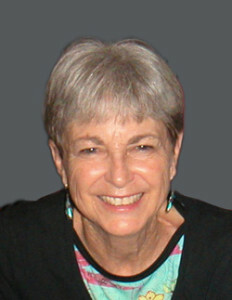 She became the Executive Director of the Santa Barbara Birth Resource Center in 1984. In 1987 she founded Postpartum Support International (PSI) after organizing a conference on Women’s Mental Health Following Childbirth. She was elected PSI’s first President in 1989 and operated the organization from her home until 2004. Jane has authored many articles and educational materials on postpartum issues and how to start community support networks. Her books are: Community Support for New Families, I’m Listening, My Diary A Postpartum Journey from Pain to Purpose, and Postpartum Action Manual. In 2012 I’m Listening was adapted by the humanitarian organization CARE as a Facilitator’s Training Guide for use in Bangladesh. It has also been translated into Chinese and Hebrew. Her expertise is based upon her struggles as a new mother. Her most recent endeavor is the Postpartum Action Institute. She continues to lecture and train internationally on the role of social support and the emotional health of families. Jane’s own family includes her supportive husband of 48 years, 3 adult children, their spouses, and 8 grandchildren (and a cat). She enjoys living a healthy and active lifestyle in Santa Barbara, California. 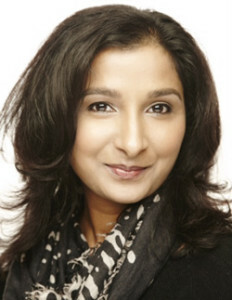 Deepika Goyal, PhD, MS, FNP, is originally from Leicester, England and has lived in California for several years. She is a family nurse practitioner and currently works in an OB/GYN office in Mountain View California. Deepika is also a professor at San José State University and teaches research methods to graduate nursing students. She is passionate about increasing postpartum depression knowledge and awareness among all mothers, with a special interest in minority mothers. She is involved with several organizations including Postpartum Support International, 2020Mom, and the Marcé Society. Deepika has three grown children and lives in the San Jose area. Her hobbies include cooking and swinging kettlebells for exercise. 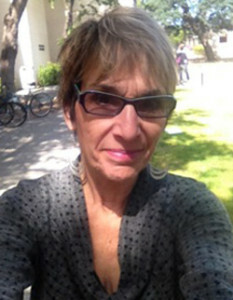 Char Canger is a Regional Perinatal Social Work Consultant/MCCPOP/RPPC at Stanford University, CA. Char’s professional life has centered on supporting the well-being of families and their very young children in pregnancy, the NICU, their homes/early intervention programs, and private practice. Her recent endeavors include reminding perinatal professionals to expand their view of a situation to value the family’s perspective and to mentor the next generation of professionals committed to working in the field of infant mental health. Char unabashedly loves her two sons and a delightful man in Oakland. She can’t get enough of hiking with Bay Area vistas or finding excuses to explore San Francisco.